A wooden grain elevator at Lac du Bonnet, on the CPR Lac du Bonnet Subdivision, was built in 1950 by the Inter-Ocean Grain Company. 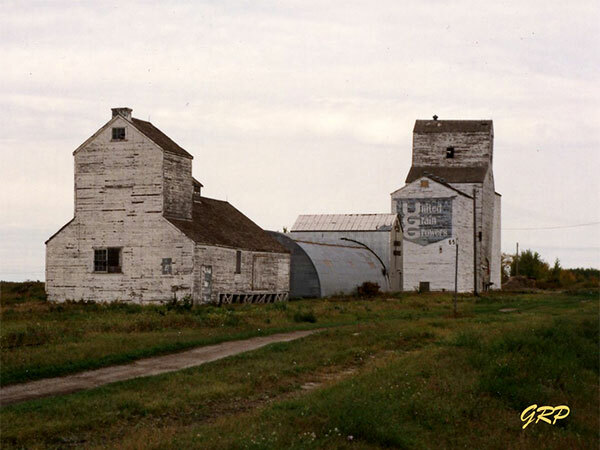 Sold to United Grain Growers in March 1965, it operated until being closed in October 1987 due to an insect infestation. The elevator was demolished in December 1988. “Elevator will close,” Lac du Bonnet Leader, 20 October 1987, page 1. “1988 in review,” Lac du Bonnet Leader, 3 January 1989, page 10. This page was prepared by Gordon Goldsborough, George Penner, and Gus Wruck.